Two soldiers died when a military jet crashed in a south-eastern Iranian city while on a training mission, local media reported. The jet is thought to be an F-4 Phantom II bought by Tehran from the US before the 1979 Islamic Revolution. A military plane on a training mission crashed near the border with Pakistan on Tuesday, Tasnim News was told by Ali Asghar Mirshekari, the security and political deputy to the governor general of Sistan and Baluchestan Province. “Unfortunately a military training aircraft crashed today due to technical problems,” Mirshekari also told state TV. The pilot and co-pilot both died in the crash, he said. Mirshekari added the jet belonged to the Iranian Army, while the cause of the crash is under investigation. 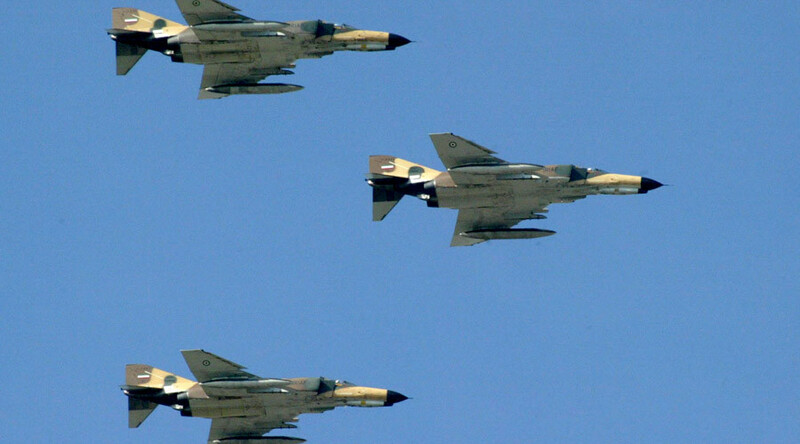 A Tasnim News reporter said on Twitter that the crashed jet was an F-4 Phantom II. Fars news agency reported that a fighter jet had gone down near the port city of Konarak, in Sistan and Balouchestan province. Fars cited local sources who witnessed the crash. They also said that both men in the jet had died. Other reports suggested the plane went down outside the town of Chabahar, which like Konarak is situated on the coast of Chabahar Bay, but on the opposite side.